With golfers being sued for damages and thefts of golf equipment on the increase, it’s essential that EVERY golfer is protected by a specialist golf insurance policy before taking to the course. Buy today and get 30% off any policy – now from only £22.99 a year. Plus you’ll also receive 3 FREE rounds of golf with our course partners, Marriott, De Vere and QHotels. Choose from 34 participating courses throughout the UK, saving up to £210 on green fees. 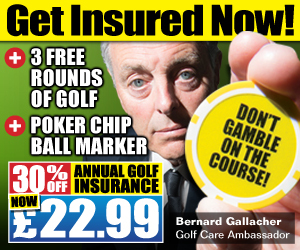 Play just once and you’re likely to save more than the cost of your annual golf insurance! 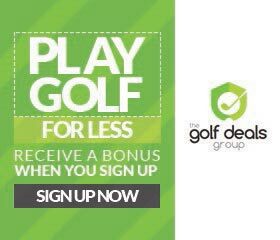 GolfDeals Group provides an online venue where golfers can find huge savings on all aspects of the game. We're a web-based business offering daily and weekly golf specials from local golf clubs, resorts, PGA coaches and other golf-related businesses. Now you've got your golf equipment, it's time to head to the tee. For the cheapest green fees in the UK, make sure you visit https://golfdealsgroup.co.uk/. Adrenaline junkies can get their hearts racing with supercar driving, flying, sphereing, bungee jumping, powerboating and much more. Those who enjoy a good dose of luxury will love a pamper spa day or romantic weekend break, while culture vultures can enjoy a theatre evening or sightseeing tour. Gourmets are also well catered for with a host of cookery classes and wine tasting days.